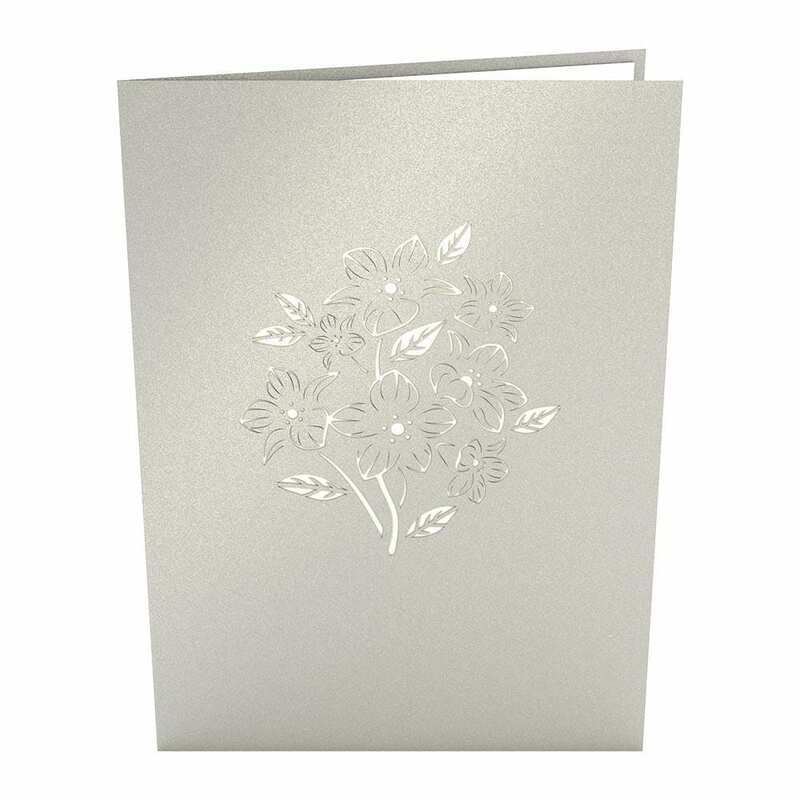 A burst of flowers graces the cover of this versatile card. A gray cover conceals an ornate floral bouquet in green and blue waiting to pop to life. If you look closely you will find a hummingbird alight on the beautiful flowers. 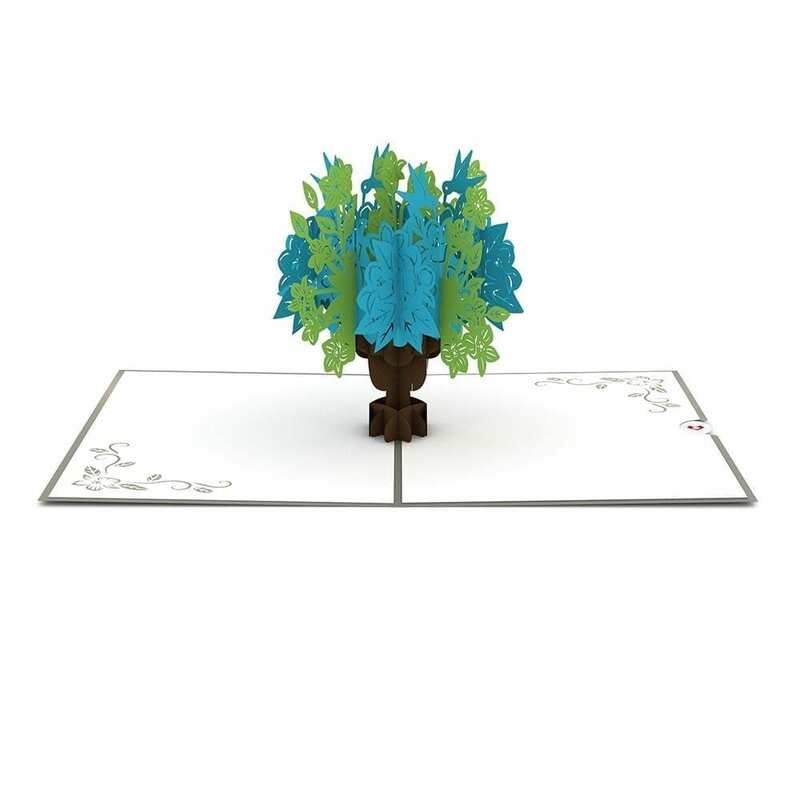 This card comes in several color combinations. 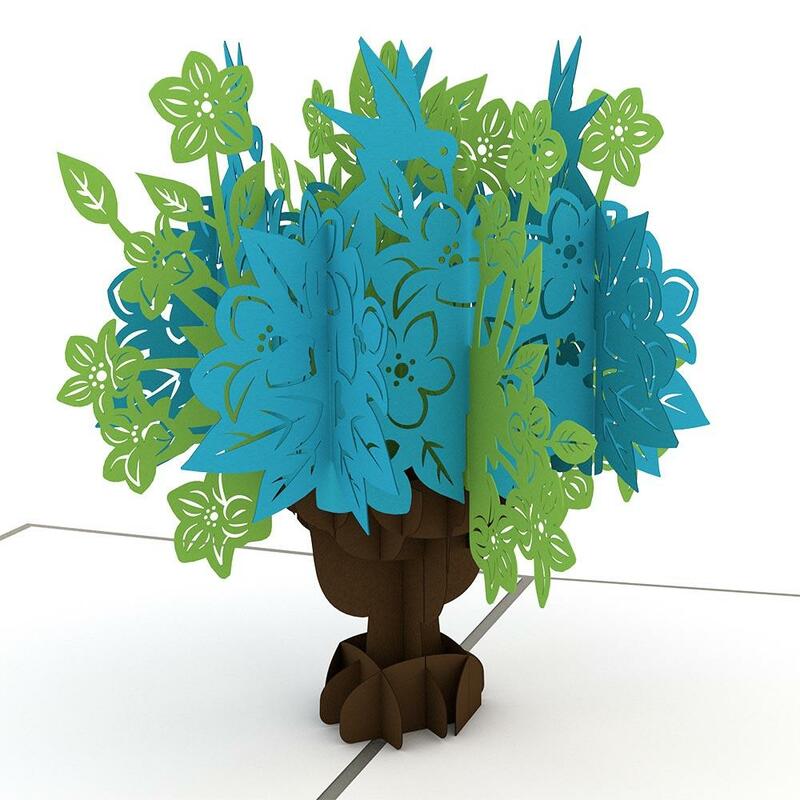 The Floral Bouquet pop up card is 5 inches wide by 7 inches tall.